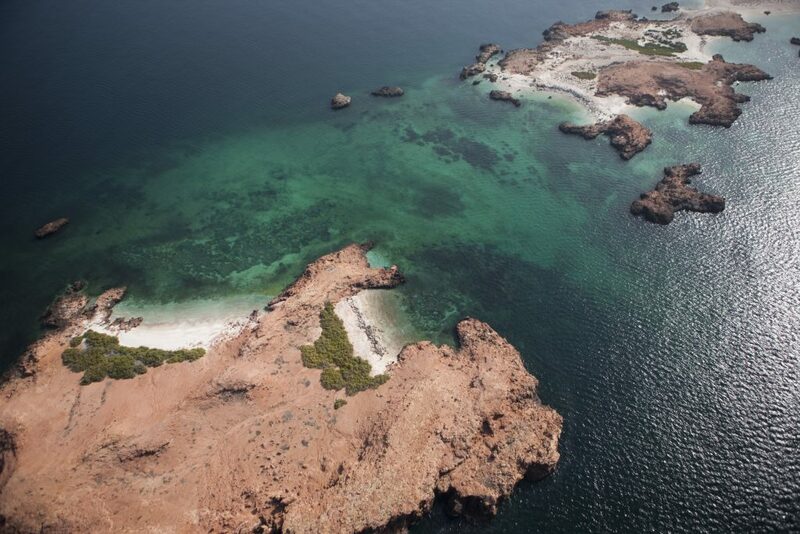 Home to a wealth of sea life that’s unparalleled in the region, the nine neighbouring Daymaniyat Islands are a protected marine nature reserve. Truly a paradise for underwater explorers, they feature an array of large, unspoiled reefs. Dive and you’ll encounter stunning schools of fish, turtles, stingray and sharks as you explore underwater drop-offs, submerged reefs, swim-throughs and caves. 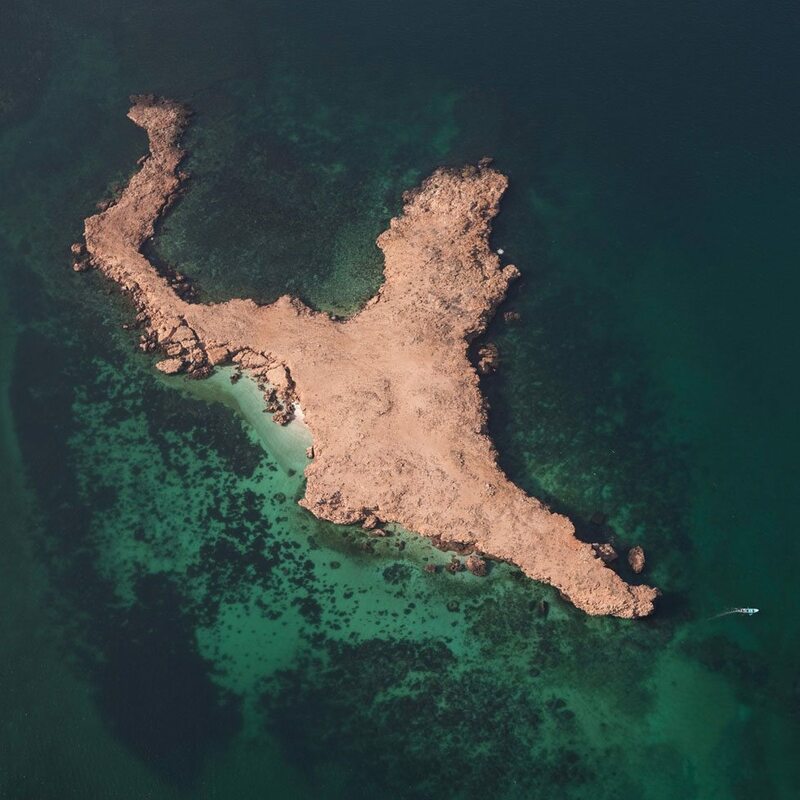 Whilst it is not permitted to step onto the Daymaniyat Islands at any time between May and October – when they become a nesting ground for turtles and local wildlife – anchoring offshore to take a swim is permitted year-round. With so much marine life close to the water’s surface, snorkelling with SeaOman is also a particularly rewarding experience. 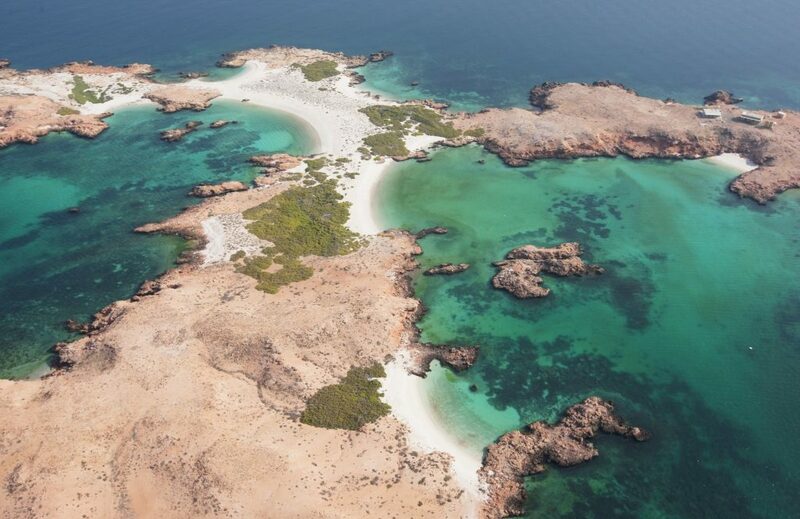 Situated just 6km east, Kharabah forms part of the Damaniyat Islands and offers a great place to relax on beautiful white sandy beaches or snorkel in crystal clear waters, surrounded by an incredible array of colourful fish. There are also four dive sites close by – The Rockies, Rocky Ridge, Sam’s Reef and Market Garden –all of which are shallow dives from 18-22 metres, offering unimpeded views of the underwater world that is packed full of fish, squid, coral and the occasional (but safe) shark. Situated just along the coast from Port Sultan Qaboos, Bandar Jissah bay is quite secluded. Snorkelling is very popular here and the rocks at the foot of the cliffs are great for exploring when the tide is out. The area is most famous for the archway carved out of the rock by the water, large enough for small and medium boats to pass through. The area also features five dive sites with wonderful corals and boulders to swim around at a depth of just 15 metres, making it perfect for snorkelling and diving, as the depth requires only an Open Water Certification. 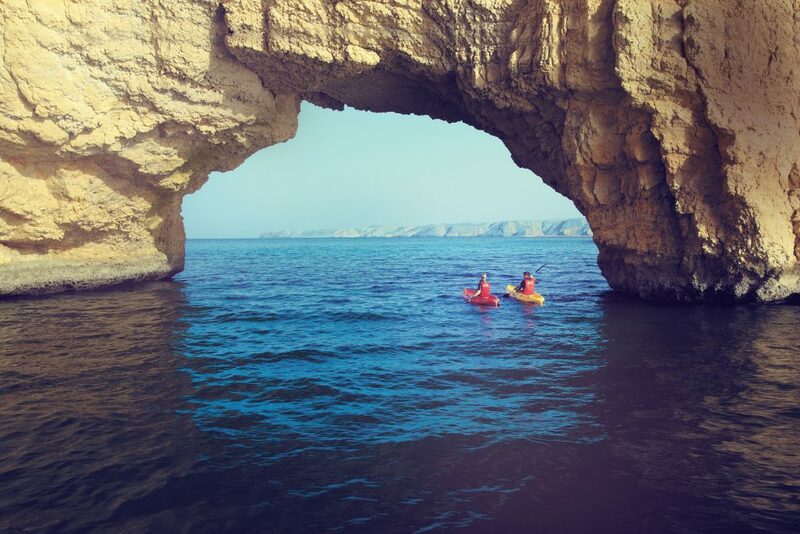 Proving that the Sultanate’s coastline is best explored by sea, Bandar Khayran is one of Oman’s most scenic regions. The mountainous landscape is formed of tidal creeks and sheltered bays, with miles of pristine sandy beaches and small islands dotted around the region’s serene, calm waters. Exploring underwater, you’ll encounter beautiful rock falls, walls and stunning coral reefs that are teeming with vibrant tropical fish, allowing for an excellent diving and snorkelling experience at any of the area’s five main dive sites: Al Munassir shipwreck, Mermaid Cove, Quriyat wreck, Ras Abu Daoud and Shaik Saif. 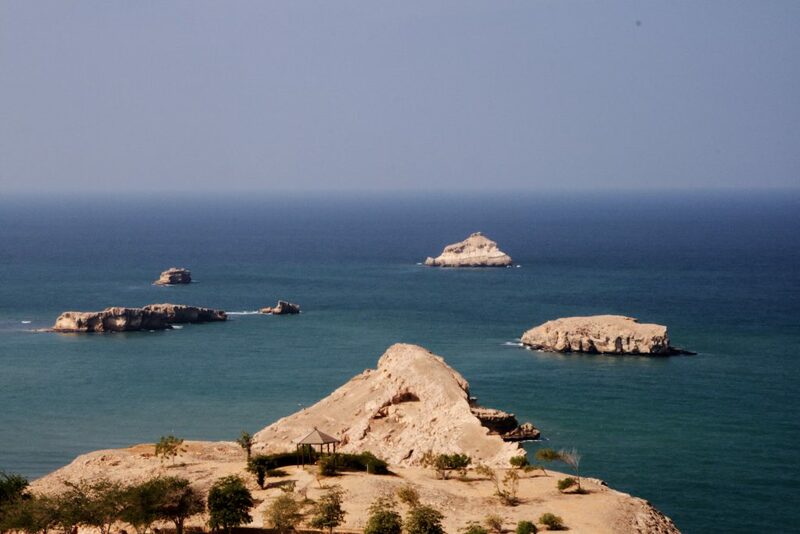 The rocky and windswept Sawadi Islands lie just offshore between Barka and Sohar and are adjacent to the Al Sawadi Beach Resort. The islands offer snorkelling opportunities and the largest island- situated about 700m offshore- is home to a couple of sandy coves which are perfect for a picnic. At low tide, the main island can be reached on foot from the beach where there is a fort to explore. . . but watch out for the wet sand! The water around the islands is ideal for swimming and snorkelling, and even kayaking. The tide retreats to reveal huge numbers of shells on the beach and the chance to spot plenty of starfish in shallow pools close by. 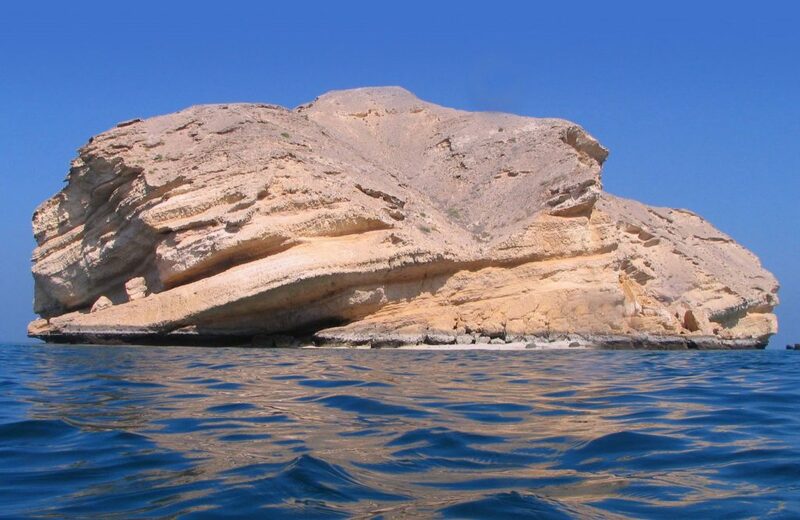 A fossil limestone formation remaining from a high sea level stand, Fahal is located approximately 4km north of the coast. The Island is a great place to anchor and snorkel. With three pinnacles peeking above sea level, Fahal Island is also known as ‘Shark Island’ and is often home to an abundance of soft and hard corals, Eagle Rays, Barracuda and, of course, Sharks, which are often seen resting in the shallower sandbanks. Fahal is not an island for camping but does make for an exciting dive spot, with plenty to explore. 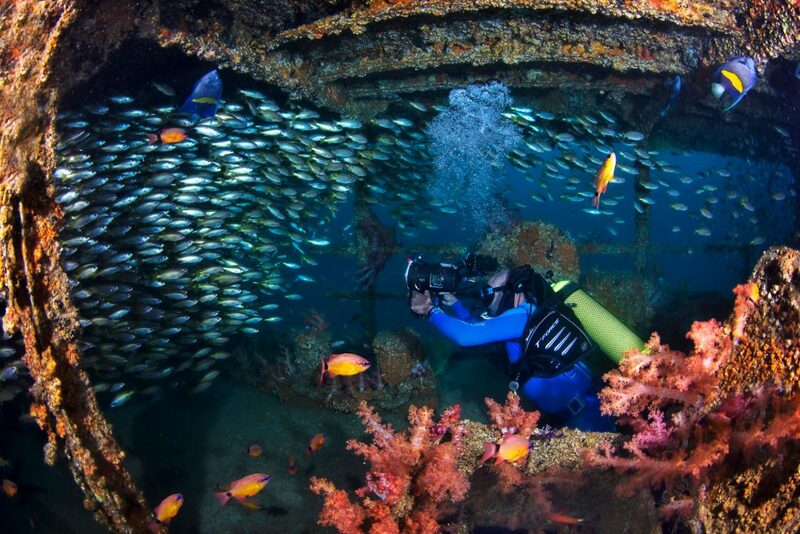 Most notably, adventurers will enjoy observing the wreck of a tug boat, which lies at 30 metres. One of the most famous dive sites in Oman, the Al Munassir was sunk in 2003 and today this 3,000-ton ship sits upright on the sandy seabed, at a depth of 30 metres. Surrounded by clear turquoise waters at Bandar Khayran, the wreck is now developing into a great diving site as it is home to schools of snapper, goat fish, angel fish and even the occasional shark. Still in one piece, at 84 metres long and nearly 15 metres wide, the wreck can be thoroughly explored. 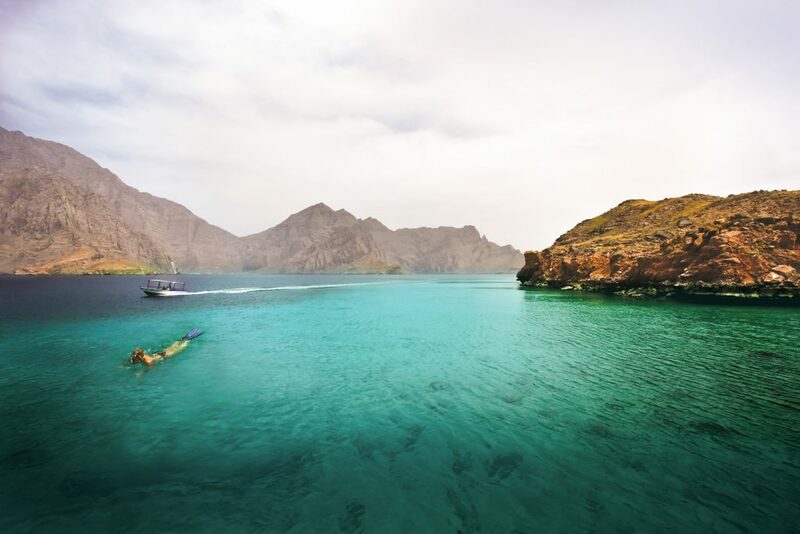 Underwater adventurers may encounter napping turtles, beautifully coloured moray eels, and over one thousand other species, within the shell of the former Royal Navy of Oman landing craft. Ready to explore the Sultanate? Our team of experts will design and tailor your ultimate SeaOman adventure.